AC Milan are weighing up a January move for Liverpool midfielder Fabinho, according to The Express. The 25-year-old only joined the Reds from Ligue 1 outfit AS Monaco during the summer, with the playmaker costing the Premier League outfit in the region of £40m. The Brazilian has only made four Premier League appearances for the Merseyside giants this season, however, and according to recent reports, Serie A giants Milan are planning a January move. The versatile South American has made 233 appearances for AS Monaco ahead of a summer move to the Anfield. Rossoneri are likely to be in the January transfer market for a new central midfielder at the midway point of the campaign, and it appears that Fabinho has emerged as a transfer target for the Italians. 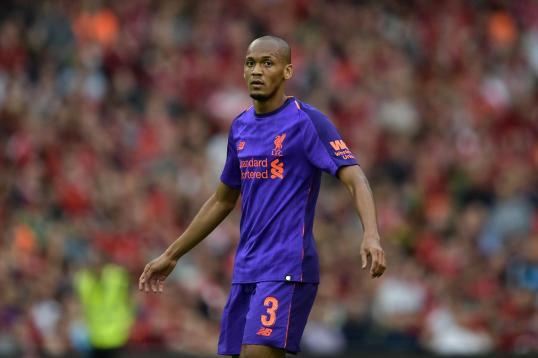 However, Liverpool manager Jurgen Klopp is likely to retain the services of Fabinho, with the club are competing on both the domestic and European front. Posted on November 16, 2018 by Sammy Jakes.